Sign up today to receive your free DIY Away Day Toolkit, as well as fantastic free resources from Dr. Jo. You can opt-out at any time. Performance-driven courses and innovation programmes dedicated to helping you shine in your career. Packed with resources such as videos, podcasts, worksheets and innovation programmes based on cutting-edge research, we provide everything you need to pursue your professional goals. We offer a range of new and exciting courses specifically designed for high-performing individuals, that will help you to leverage your own talents and think more creatively. Creator of Idea Time and the founder of a highly-successful professional growth consultancy, Dr. Jo North is an expert in all things innovation. Her experience includes the roles of Commercial Director, Deputy Managing Director and Customer Service Director at well-known businesses in various sectors. 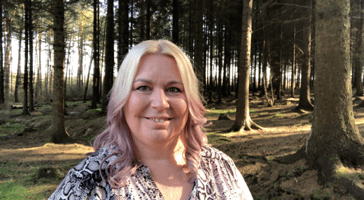 Dr. Jo’s experience caused her to become well-versed in the ways of large organisations, before her love of helping others progress saw her start her own business in 2011. This coincided with her work towards a world-class PhD surrounding innovation and entrapreneurship in businesses of all sizes. Upon its completion, her love of writing and creating drove her to publish her innovation course, the Idea Time programme. A culmination of her knowledge and commercial expertise, it has become a much-loved toolkit for countless professionals. The Idea Time brand has continued to develop and grow, and we’re in the process of creating even more courses and resources to help you progress and be the best person you can be at work. We’d love for you to contact us if you have any questions, or you can experience the benefits for yourself with our free Idea Time trial. “I completed Idea Time with Dr Jo, I found it enlightening and enjoyable, Idea Time helped me to achieve my BHAG, with surprisingly little effort. I found the techniques very effective, and certainly I am a better equipped manager, with simple tools and tricks in my pocket through Idea Time. I looked forward to my one on one discussions with Jo and always finished these highly motivated. 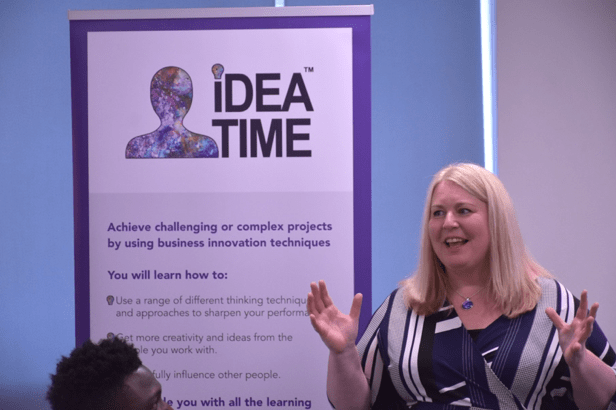 Idea Time has re-awoken a desire in me to learn and undertake further personal development, I highly recommend Idea Time, and have encouraged Team members who are now chasing their own BHAGs through Idea Time”.